This design was part of the original series of forty-eight designs completed by October 1931 but is not currently known from later printings. This version has very pale green bokashi overall background fading upwards. 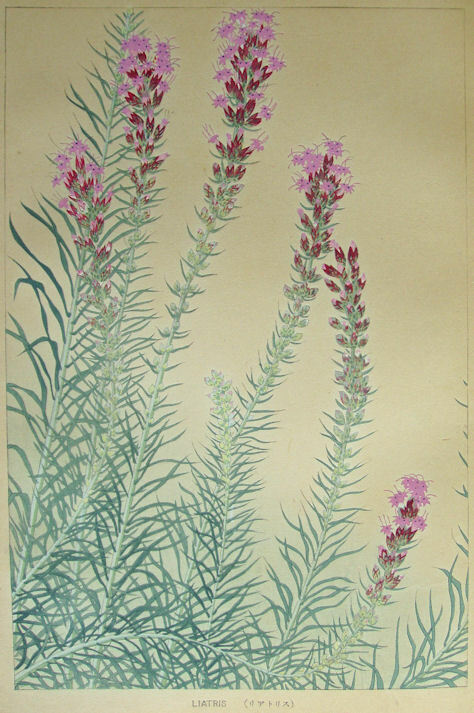 Liatris (Blazing-star or Gayfeather), Liatris sp.